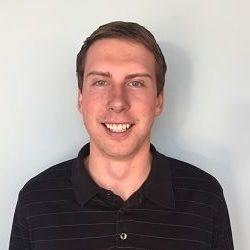 John graduated from the University of Waterloo with an Honours Bachelor of Science in Kinesiology and is actively registered with the College of Kinesiologists of Ontario. While obtaining his degree he explored a variety of health and rehabilitation settings through co-op work terms and volunteer opportunities. These allowed him to gain practical experience and provided him the opportunity to apply his knowledge outside of the classroom. Whether for fitness or therapy John uses a client centered approach that focuses on developing and achieving the goals of each individual while maximizing their potential improvements. John grew up playing a variety of sports giving him a first-hand appreciation of the training and rehabilitation processes. In his spare time he enjoys camping, reading a good book, and playing soccer.